When you hear the word “thoroughbred” you probably think of purebred. But “Thoroughbred” is actually a breed of horse used for racing. Just like the Arabians, Thoroughbreds are one of the oldest breeds of horses.They are the fastest breed of horse, because racing is their specialty. Some of them can run as fast as forty miles an hour! The Thoroughbred is known for his bravery, too. All Thoroughbreds are related to the Byerly Turk, the Godolphin Arabian, and the Darley Arabian. The first name refers to the owner or importer, and the second part of the name is the special breed. Thoroughbreds are nervous and sensitive, so they are not recommended for beginner riders. The first Thoroughbreds came to North America around 1665. Just like the Arabians, they are one of the oldest breeds. Both Thoroughbreds and Arabians are called, “warm blooded” animals. This has nothing to do with the temperature of their blood. It’s an expression that means they are brave and spirited. A “cold blooded” horse would be a mixed breed that would not be as sensitive. Thoroughbred racing began in England in 1175. But racing wasn’t popular there until the eighteenth century. Even then, the English people called it “the sport of kings” because only the wealthy people could own race horses. People published a racing calendar and advertised the dates in the newspapers. Racing and all kinds of events starring horses are still popular in England. In fact, Queen Elizabeth has many race horses in her stable. 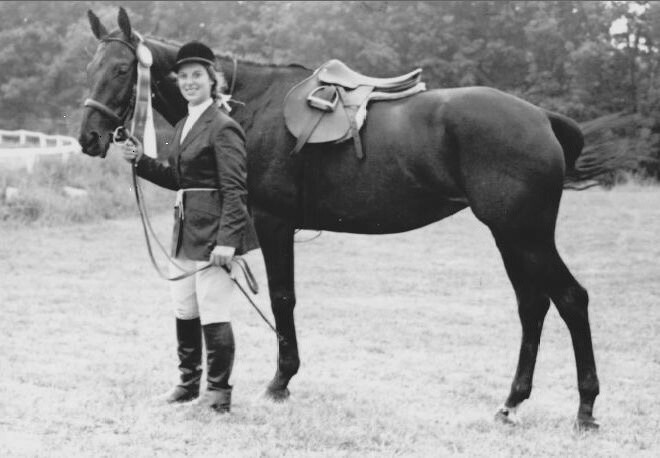 Her daughter, Princess Anne, is an excellent rider, who had ridden in international shows for many years. Also, Prince Harry and Prince William are very fond of playing polo. That’s two hundred thirty-six years ago! People come to Lexington, Kentucky about a week before the Derby and attend all sorts of parties and special events before the race is held. The very first winner of the Kentucky Derby was a horse named Aristides. Can you think of anything else special about the Kentucky Derby? It’s the first race of three, which are called “The Triple Crown.” The same horse would have to win the Kentucky Derby, the Preakness, and the Belmont Races. It’s so difficult to win the Triple Crown, that it was 37 years from the last Triple Crown winner, Affirmed, to the next one, American Pharaoh, in 2015. But we also had Triple Crown winner last year, Justify. It takes an extraordinary horse to win all three races because there are only 2 weeks between the first two races and three weeks until the last race, The Belmont. Not only that, but also, keep in mind the Belmont is a very long race; a mile and a half. Usually, no other three-year-old racehorse has won at that distance, or even raced that long distance. Some Thoroughbreds can be high-strung and temperamental, but of course, this does not apply to all of them. My horse, Fleet Nancy, AKA Peach, was so sweet and not at all difficult to handle. Also, some Thoroughbreds are not meant to race because that is not their talent. Peach fit that category as well. But she was a super star at jumping in horse shows. She loved it. I hope you’ve enjoyed learning about Thoroughbreds. Thank you for stopping by. The post The Thoroughbred:Fast and beautiful appeared first on deaniehumphrysdunne.wordpress.com.